While outdoor air pollution is a serious concern, indoor air pollution also deserves your attention. Many people assume that indoor air is superior to outdoor air because it’s contained inside. However, indoor air quality can be worse than outdoors for a variety of reasons. Read this article to find out why improving indoor air quality at home is important and how to do it. While many pollutants impact outdoor air quality, such as auto emissions and forest fires, there are many pollutants that are generated indoors. For example, regular cooking activities can create air pollution inside your home. Using products that contain volatile organic compounds also harm indoor air quality. Regardless of where the pollution is sourced, once it gets inside your home, it can remain trapped in this enclosed environment. Because of this, air quality in the home worsens over time. Here are a few effective steps that you can take to improve the air you breathe inside your home. By improving ventilation, like running the fan when you are cooking or after showering, you can remove some of the pollutants that have found their way into your home. When this is done on a regular basis, indoor air quality can be improved. Using your ceiling fans often promotes ventilation in the home, too. In addition to cooking, indoor air quality can be affected by chemicals that you bring into your home. This includes cleaning chemicals and paint. Understanding the impact that these products have will help you make smarter buying decisions. Opt for natural cleaning products and VOC-free paint for improving indoor air quality. Buy an air purification system to use in your home. Many of these systems are only designed to purify the air in one room, so you may need to invest in a system for every room in your home. If you have the budget, you can install a whole house air purifier to your HVAC system. Air recirculates throughout the home when your HVAC system operates. This air is forced through the air filter and the ducts. Having an HVAC technician clean your ducts at the beginning of a new season helps keep the air clean that passes through them. 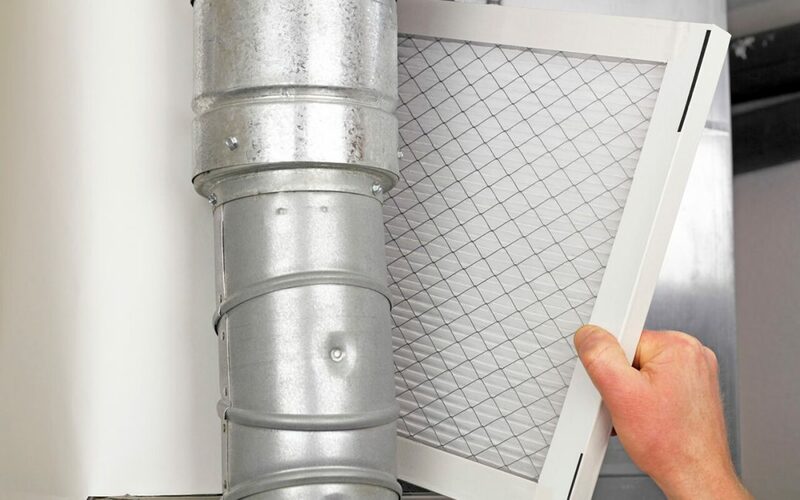 Remember to change the HVAC air filter as often as your manufacturer’s manual instructs. Improving indoor air quality at home is not something that many of us think about. Without your regular attention to improve indoor air, the air in your house can grow increasingly polluted. Understanding what the sources of indoor air pollution are and taking steps to prevent them are great first steps. Incorporate these tips into your regular activities so that you and your loved ones can breathe cleaner air in your home. Healthy Home Inspection Service provides indoor air quality inspections and other home inspection services to the Greater Denver area. Contact us to book an appointment.